unmasked in the film "Star Wars Episode VI: The Return of the Jedi"
The son of a doctor, Sebastian Shaw spent his childhood in England and made his first theatrical appearance on January 1, 1914 as one of the 'Juvenile Band' in The Cockyolly Bird. Shaw never became a huge Hollywood actor. He was primarily a stage actor, although he did star in some forty film and television productions, making his feature film debut in the movie Caste (1930). Out of Shaw's long list of acting work, he is perhaps most remembered for one of his shortest roles, that of Darth Vader (Anakin Skywalker) in Star Wars: Episode VI - Return of the Jedi. In 1982, director George Lucas approached veteran actor Sebastian Shaw and asked him to play the part of the unmasked Darth Vader. Although it wasn't a big part, it was one of the most crucial in the Star Wars films, not to mention one of the most memorable. The scene shows Darth Vader revealing himself to his son, Luke Skywalker. He removes his mask to reveal his pale skin and his scarred head and face. Sebastian Shaw also appeared later in the Return of the Jedi as the disembodied spirit of Anakin Skywalker. Upon the DVD release of the Star Wars Trilogy (Episodes IV, V, and VI) in September of 2004, many fans were upset that the ghostly figure of Anakin was no longer Sebastian Shaw. The scene had been changed to show actor Hayden Christensen, who portrays Anakin in Episodes II and III of the prequels. Another rumored change for the DVDs was the removal of Sebastian Shaws eyebrows to emphasize an injury that Anakin receives in 2005's Episode III. After his appearance in Return of the Jedi, Sebastian Shaw played primarily distinguished elderly roles, such as the art critic Mr. Sharpe in High Season (1987). His final role in front of the camera came in 1994 in an episode of the TV series The Memoirs of Sherlock Holmes. He died in December of that year at the age of 89. One of the first things that director George Lucas noticed about David Prowse was his height. The British actor / weightlifting champion stands a whopping 6 feet 7 inches tall. George Lucas gave David Prowse the choice of playing either Chewbacca or the villain Darth Vader. In reference to Vader, David told George Lucas, "That's the part for me... in my opinion, people will always remember the villain. They can never remember the goodies." David did not realize until the premiere of Star Wars: Episode IV - A New Hope that his voice was not going to be heard in the actual film. George Lucas made the decision, deciding against a British accent for Darth Vader, going instead with the deep vocal chords of James Earl Jones. David Claims to have had more fun shooting Episodes V and VI, because he did not have to worry as much about the delivery of his lines, even though he still had to say them. In an interview, David addressed this by stating, "I had to say to the captain something like 'Asteroids do not concern me, I need that ship!' 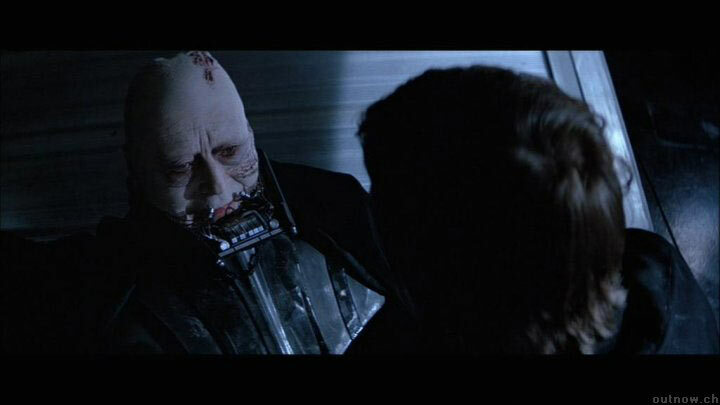 for of course I still had to speak all of Vader's dialogue so the other actor's could respond to me. Only instead I said, quite sternly, 'Hemmeroids do not concern me, I need to sh*t!'" Surprisingly David's most cherished role is not that of Darth Vader. It is his work as the Green Cross Code Man, a character used to teach UK children how to cross the road safely. The character helped to reduce the number of road deaths among children in the UK and across the globe. David Prowse starred in serveral films and television shows, including A Clockwork Orange (1971), the film in which George Lucas first noticed him. David is also responsible for training Christopher Reeve for his role in the first Superman (1978) movie. David once complained in an interview that he felt he "wasn't getting any publicity" for his work as Darth Vader, which could explain why he signs many of his autographs "David Prowse is Darth Vader." Certainly, he does deserve a great deal of credit for the role, and Star Wars fans don't let him go unremembered. At conventions, they line up with posters and helmets in hopes that they can get their picture taken with the man underneath the costume. In Star Wars: Episode VI - Return of the Jedi, Darth Vader and the Empire are building a new, more powerful Death Star. Han Solo has been imprisoned, and Luke Skywalker has sent R2D2 and C3PO to try and free him with the final battle on the moon of Endor. Originally titled Revenge of the Jedi, this is the trailer that was released first, before George Lucas changed the title to Return of the Jedi. Watch a four minute trailer for the Star Wars Trilogy 2004 DVD release, featuring clips from Episodes IV, V, and VI. The trailer also offers a glimpse into the bonus materials and deleted scenes. The new and improved Star Wars Gangsta Rap Special Edition is an animated short film that spoofs the Star Wars films, specifically Episodes IV, V, and VI. Enjoy.